When we say our curriculum is integrated, we mean both horizontally across disciplines and vertically across ages. An integrated, thematic curriculum gives children the continuity, order, choice, and challenge they need to stay engaged in their work, and brings a level of meaning and understanding that is unsurpassed. Additionally, we are a toddler - grade eight school that prioritizes multiage collaborations, making us a unique learning environment. What does both horizontal and vertical integration look like in our classrooms this year? With our hands-on approach, we ready students for success in the world they will inhabit as adults by providing extraordinary learning opportunities in the present. Visiting classrooms during Curriculum Night will give clear impressions of the ways we teach children how to think - rather than what to think. This is not a semantic difference, this is the heart of our teaching philosophy. Messing about and academic rigor go hand in hand, developing the higher order thinking skills (“21st century skills”) required to thrive in a rapidly changing society. What does academically challenging exploration look like in our classrooms? Children need access to nature the same way they need good nutrition and adequate sleep. It is fundamental to their growth and wellbeing. 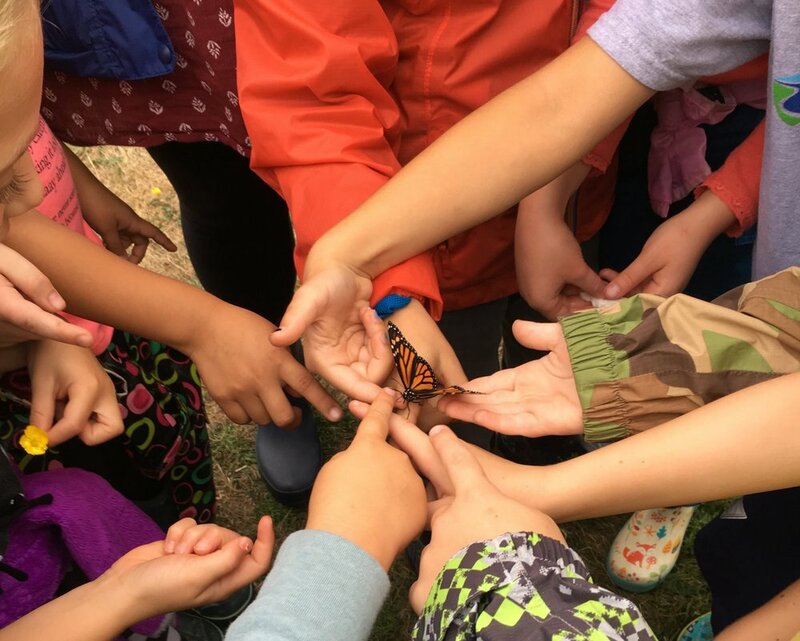 At the heart of our Mission is the edict to inspire children to “live well on the planet.” As recess and other outdoor activities that were once part of any school day have disappeared from traditional curriculums, we are running in the opposite direction. We bring children in meaningful, playful contact with the natural world, inside and outside, rain or shine. How, when and where are children interacting with the natural world? 5-6pm Capstone information for 8th grade students and families / followed by 6-7pm classroom presentations for 7th grade families.